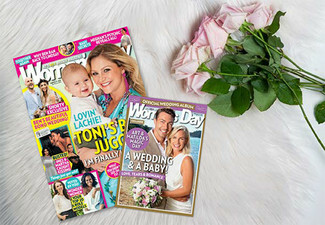 Motorhomes Caravans & Destinations is New Zealand’s number one RV magazine and is perfect for the RV lifestyle lover. 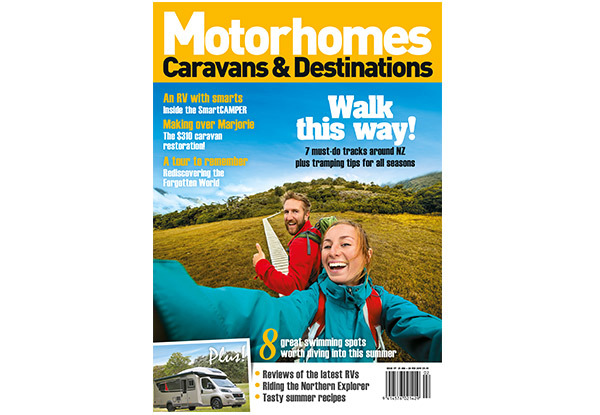 Motorhomes Caravans & Destinations is the caravan and motorhome enthusiasts' bible. 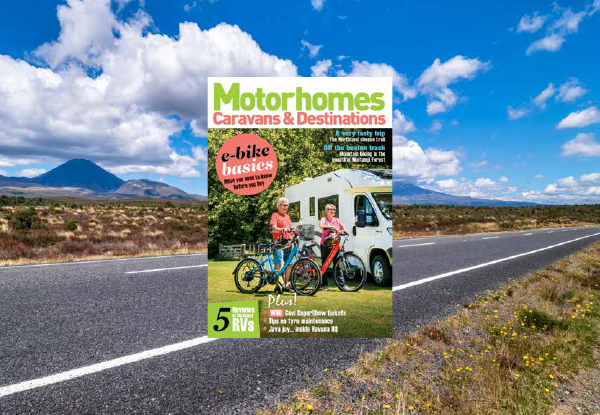 From in-depth New Zealand and Australian travel features to reviews, conversions, technical information and accessories, Motorhomes Caravans & Destinations is richly illustrated, well designed and written by journalists passionate about travelling. 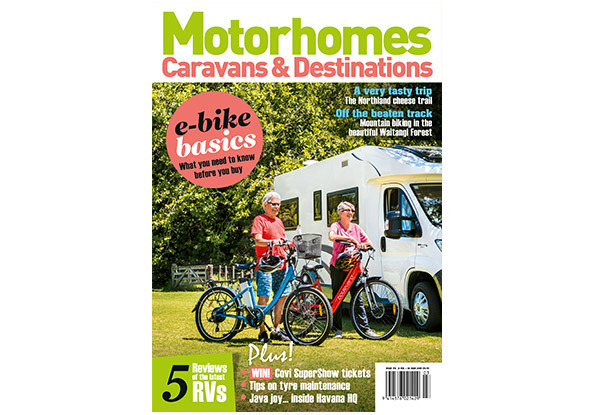 Grab 6 issues of Motorhome Magazine for $30 or 13 issues for $60 from Bauer Media. 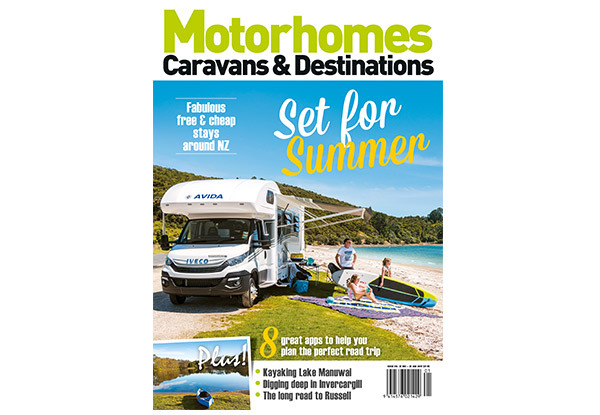 Motorhomes, Caravans & Destinations inspires readers to explore New Zealand’s beautiful destinations and embrace the freedom and comfort of doing so by RV. 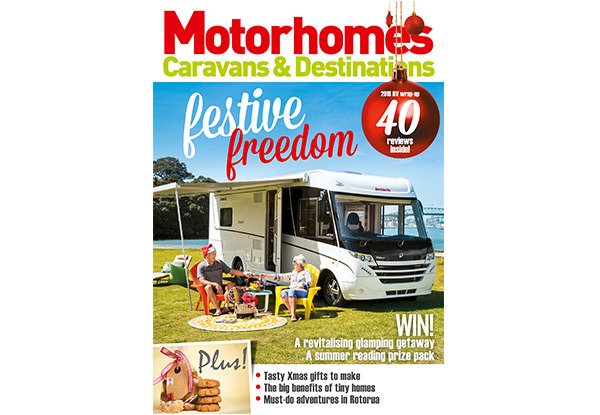 Motorhomes, Caravans & Destinations has 13 issues per year. 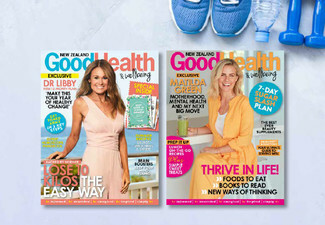 Valid for New Zealand residents only. 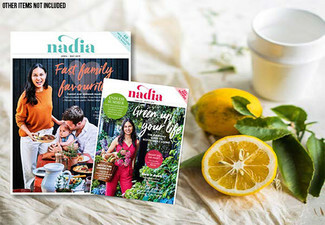 Free nationwide delivery. 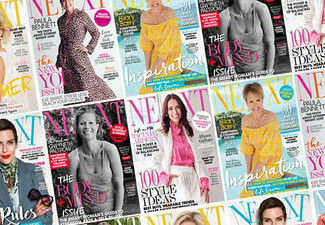 Enter address when purchasing. 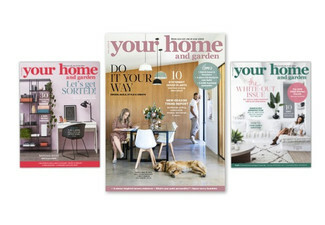 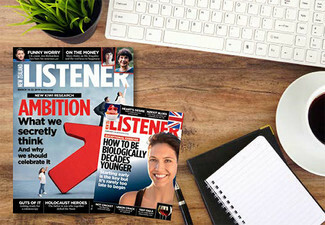 For orders placed before the 24th April the first issue received will be the June issue, delivery by 4th June. 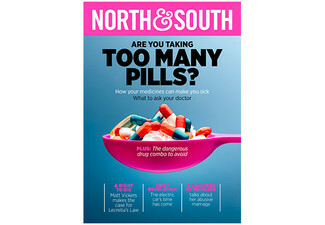 Multiple subscriptions purchased for the same address will be sent concurrently. 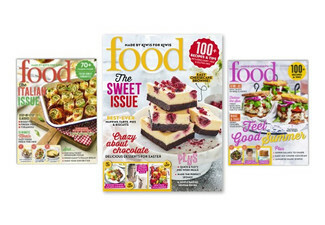 No refunds unless required by law, no cashback, not to be used with any other offers.